Jon Chesto’s column “Why Markey sees success in the unpassed Green New Deal” (Business, April 4) makes the point that, despite the bill’s not passing, it has served as a catalyst to reignite the conversation on addressing climate change. The bill has proved useful in other ways as well. First, discussion of the Green New Deal has served, for the first time in nearly 10 years, to bring science back into the policy debate at the federal level. After the dire warnings from both the UN Intergovernmental Panel on Climate Change and federal cross-agency reports from fall 2018, we have a better understanding of the costs of inaction. In addition, the coalition of Senator Ed Markey and Representative Alexandria Ocasio-Cortez takes the significant step of building a bridge between traditional environmental advocacy and contemporary millennial activism. Here in the Northeast, we see states led by Republican and Democratic governors all rowing in the same direction, with clean-energy policies, programs, partnerships, and job growth. By making a national investment in our clean-energy infrastructure, the Green New Deal represents an opportunity to build upon the significant progress of US cities, states, and regions in their transition to a clean economy. If the debate on the Green New Deal is the first step toward national legislation that unleashes the potential of the clean energy economy, our children will be happy we had the courage to reignite this important debate and take the necessary action. 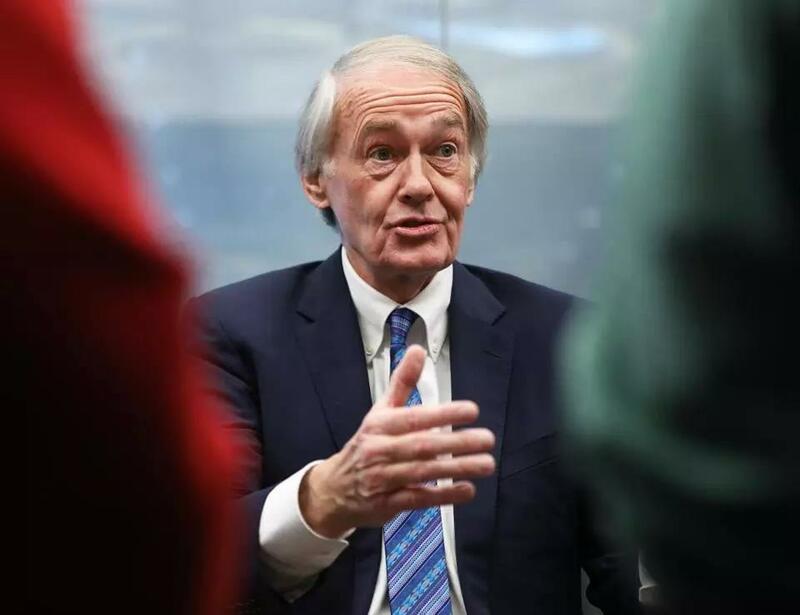 Thank you to Jon Chesto for writing about Ed Markey’s perspective on why the Green New Deal is such a big deal and how the senator intends to capitalize on the ensuing debate to introduce measures to address climate change. Unfortunately, the measures Markey is proposing — wind-industry tax credits, solar credits, tax benefits for energy storage and electric vehicles, and stronger energy efficiency and climate resiliency standards in any infrastructure bill — are more greenwashing than Green New Deal. The United States, individual states, and municipalities have been pursuing these same strategies for decades, yet last year national greenhouse gas emissions resumed their inexorable rise. Fortunately, economists know a better way to reduce emissions. It is a gradually rising fee on greenhouse gas pollution, with 100 percent of revenue allocated in equal shares to all households and border adjustments to protect domestic manufacturing. Rising costs for coal, oil, and natural gas will do far more than meager tax credits to draw in private investment to develop the conservation, efficiency, and renewable energy solutions we need to bend the curve on greenhouse gas emissions. This policy has been proposed in the House as the Energy Innovation and Carbon Dividend Act. It is ready to deliver on at least one aspect of the Green New Deal. I hope that Markey, Representative Alexandria Ocasio-Cortez, and other Green New Deal supporters will give H.R. 763 a serious look and seize this opportunity to make a substantial down payment on their aspirations for climate security. The writer is co-leader of the Boston chapter of the Citizens’ Climate Lobby.